15 or 40 Series, 5/16-18 STAINLESS Economy T-Nut, Part #ET-015-SS. 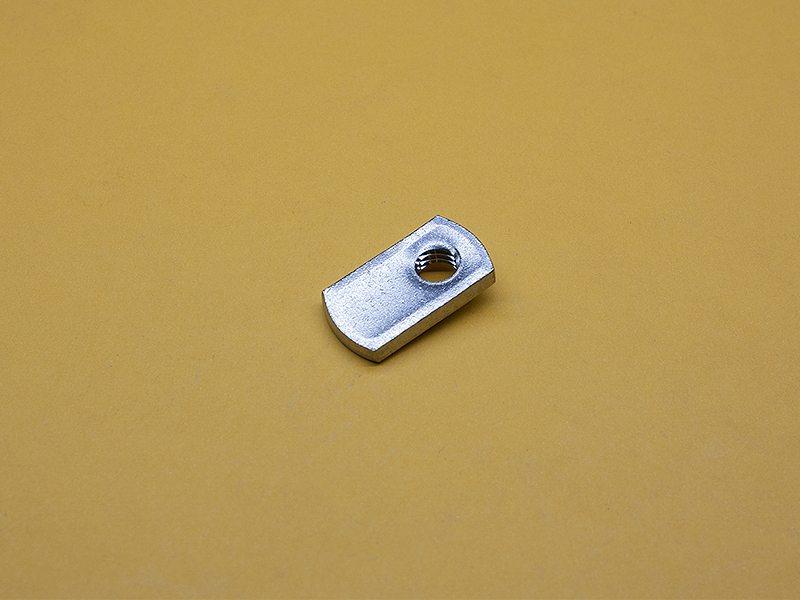 These Stainless Steel T-Nuts are the most economical and fit 15 / 40 Series or 8mm slot extrusions. They are loaded from the end of the extrusion only and excellent for outdoor applications. – These T-Nuts will also fit in most 8mm slot extrusions.